The excitement continues. 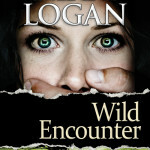 ‘Wild Encounter’ has been nominated by reviewers for Best Action-Adventure/RomanticSuspense of 2012 over at The Romance Reviews website. This is a great endorsement of one of my favourite books because TRR reviews thousands of books every year.